You are here: Home / holidays. / 11 Halloween treats for kids to make! Today I’ve gathered some of my favorite Halloween treats for kids to make from around the internet. 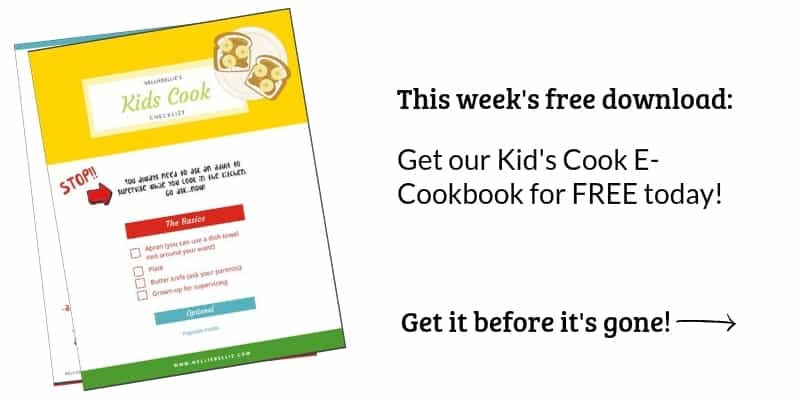 The best part of these treats is that they are all easy to make and perfect for getting the kids helping in the kitchen. 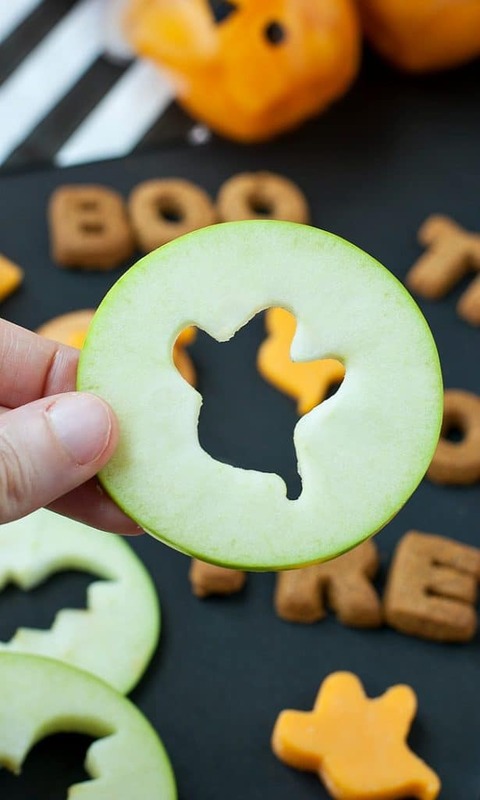 Kid’s can help put on eyes, dip pretzels in chocolate, put on licorice “legs”, and use cookie cutters to put ghosts into apple slices. Grab the kids and get into the kitchen making up your Halloween party’s treats! 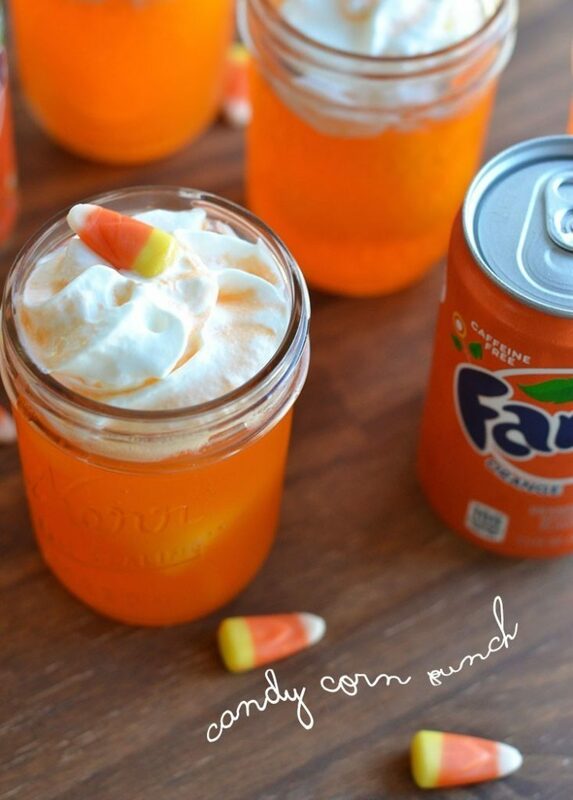 This candy corn punch requires only 3 ingredients and looks fantastic! Kid’s love to help make it and drink it. This snack from Peas and Crayons is as easy as taking a small cookie cutter and creating shapes into apple slices. Frankly, this idea offers infinite possibilities! 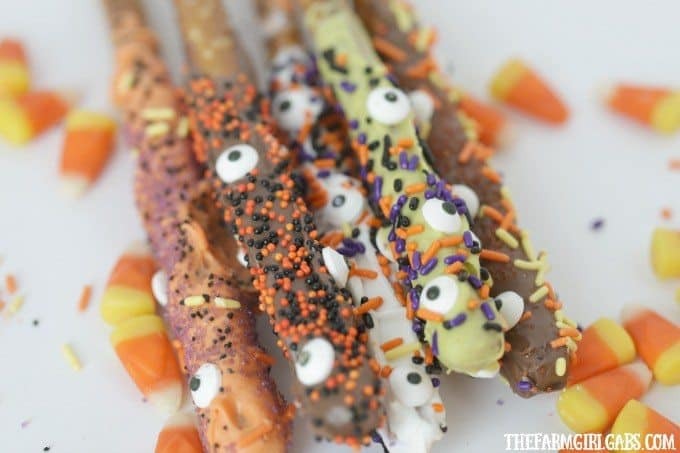 Pretzel rods are turned into a creepy Halloween snack from The Farmgirl Gabs with melting chocolate, sprinkles, and candy eyes. The kids will love helping decorate these in their own special way! Pretzel rods get another type of makeover from The Love Nerds…a spooky makeover. 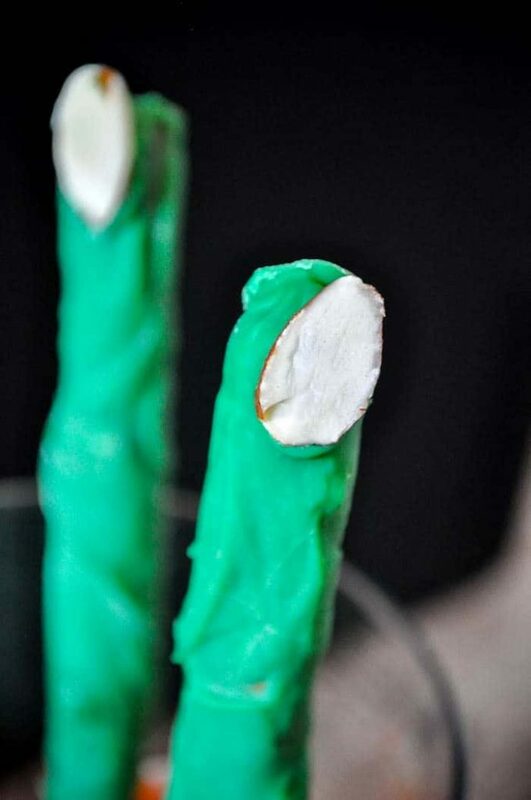 Turn pretzel rods into creepy Frankenstein fingers with a bit of melting chocolate and sliced almonds. Is there anything better than a good monster cookie for a Halloween party? 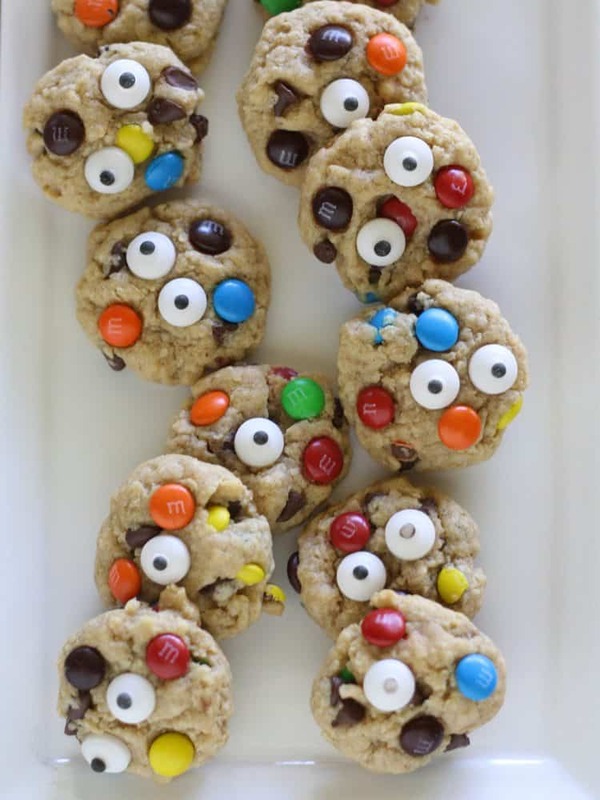 Monster cookies with eyeballs are a seriously fun upgrade! This recipe from Liz On Call is a spookily good one! This one, from the NellieBellie vault, is an annual favorite. 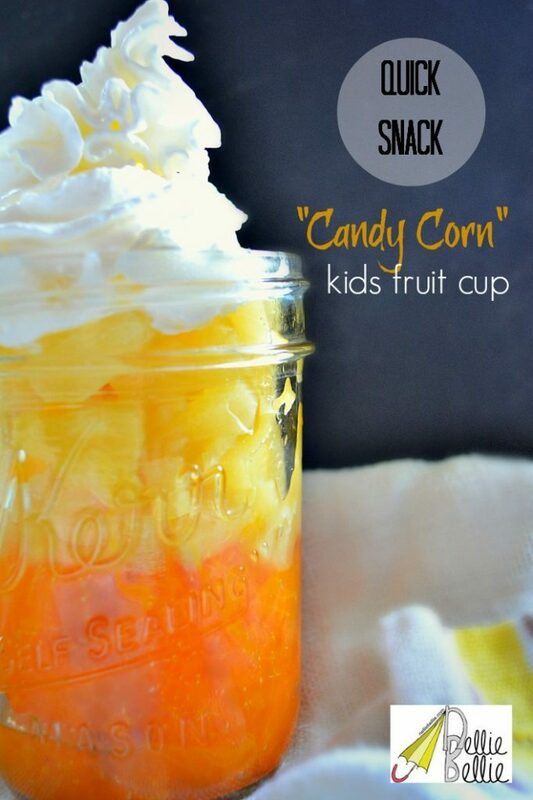 Layer mandarin oranges, pineapple, and whipped cream for a good looking and tasty Halloween fruit cup! How cute are these mini donut monsters?? So cute! Kid’s will love creating their own monsters with the supplies you provide. I think this treat from Cake Whiz would make a great party activity! 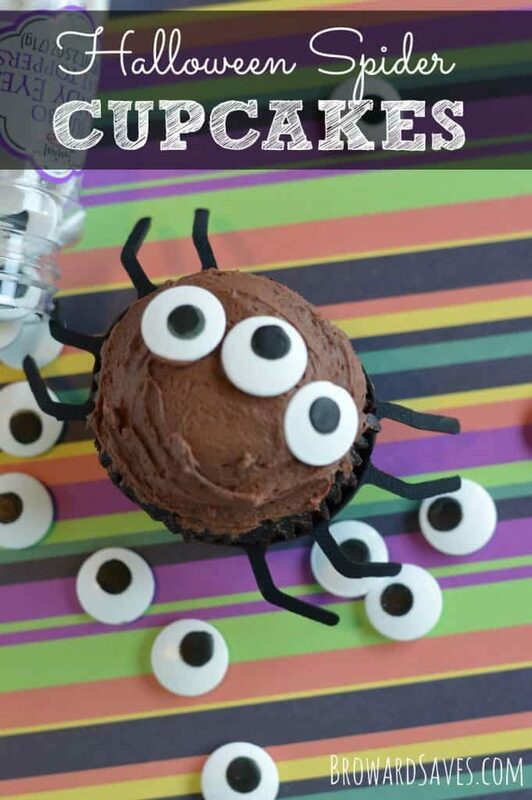 Give a boxed cupcake mix a Halloween makeover with candy eyes and licorice legs. 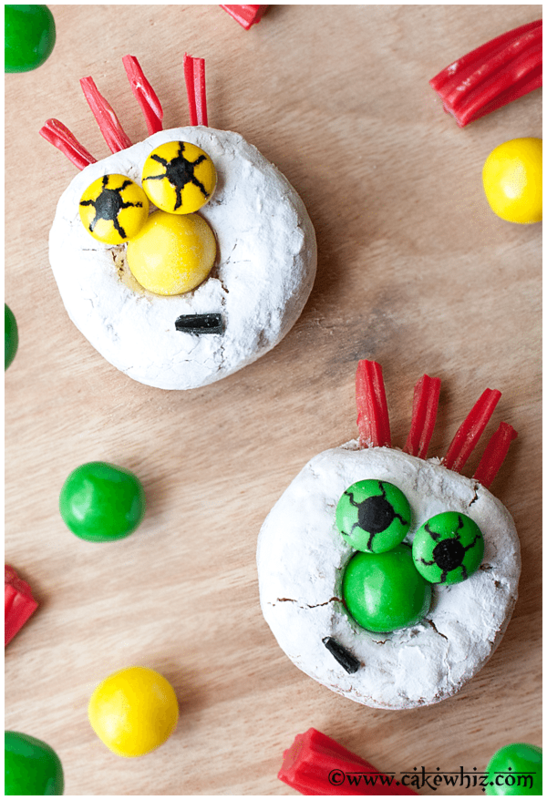 Kid’s can add the eyes and legs to these cute spiders from Living Sweet Moments! 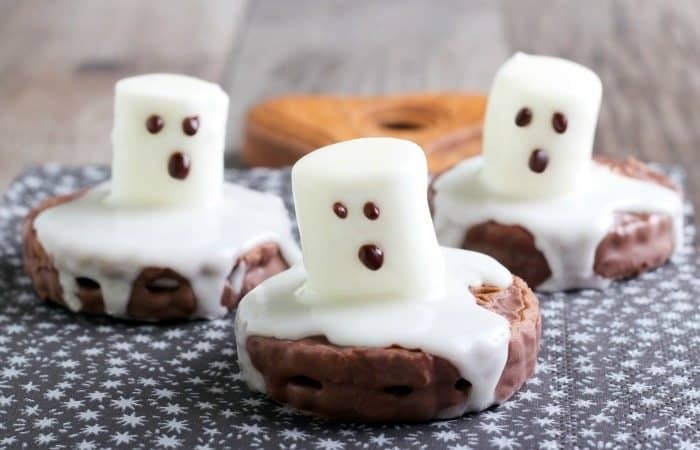 I can’t even stand the cuteness of these Mummy Marshmallows from Homemade Interest. Kid’s will love drizzling the chocolate over the marshmallows and, of course, sticking on the eyes. 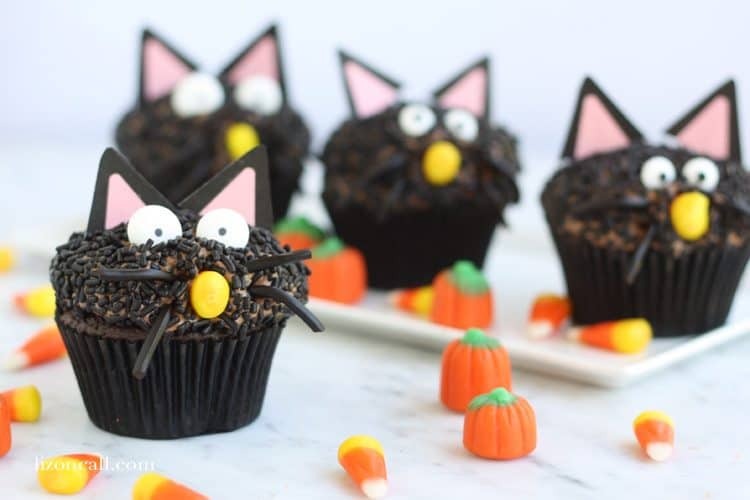 Black cat cupcakes are cute enough to bring to the Halloween party and easy enough to get the kid’s involved helping! Liz On Call even includes a printable for those cute little ears! And lastly, melted ghost cookies are absolutely adorable! A marshmallow is stuck to a purchased cookie and drizzled with white chocolate. Nerdy Mamma has the easy tutorial for you and your kiddo’s to make! 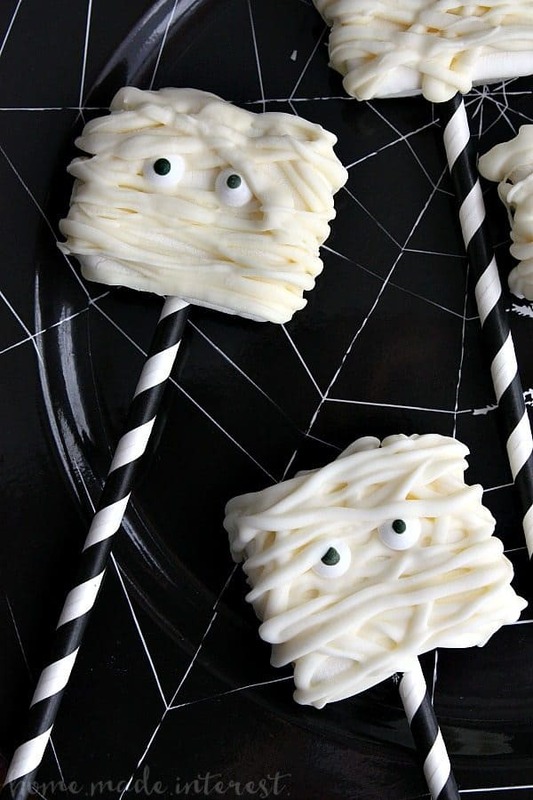 These spooky treats will keep the kids entertained and working in the kitchen for hours. And, getting kids involved in the kitchen their own food is always a good thing, isn’t it!